When he was growing up, Ted suffered from severe asthma. Too scared to play outside, he increasingly spent his time reading. At school his grades were excellent, but his father noticed that his son was becoming ever more shy, introverted and the spark had left his beautiful blue eyes. Finally, his father sat Ted down for a heart to heart and told him that if he did what he feared, then not only would the fear go away, but he would be much happier and stronger. Ted took on board his father’s words and not only overcame his asthma, but went on to embrace what he called "the strenuous life" – a life filled with physical activity, adventure and action. 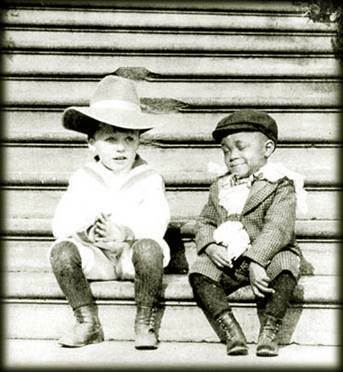 Teddy as he was better known, grew up to be a cowboy, conservationist, war hero, author…..oh and also President of the U.S.A. for 8 years. "never be with those cold and timid souls who know neither victory or defeat." Two Asian heroin addicts have injected themselves with curry powder by mistake – both are in intensive care…..
One has a dodgy tikka and the other one is in a korma. 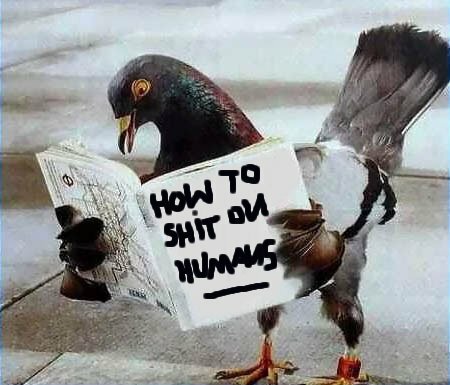 Currently top of the Pigeon Non Fiction list …..
Tonight’s meeting of the Clairvoyant’s Society has been cancelled due to unforeseen circumstances. If you want to achieve better results, more quickly and with less stress, then contact me: sunil at sunilbali dot com. This entry was posted by admin on December 2, 2012 at 7:34 am, and is filled under Awesome Living, The Art of Awesome Living, The Book of Awesome Humour. Follow any responses to this post through RSS 2.0. Both comments and pings are currently closed.